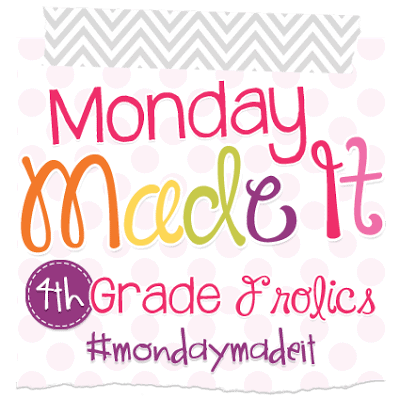 I have been busy doing some classroom DIY lately so I decided to link up with 4th Grade Frolics for Monday Made It. I wanted to choose a different classroom theme this year since I was switching classrooms and grade levels. I am looping with my students from 3rd grade to 4th grade. I really wanted to do a theme that my class would love. After a lot of thought I decided to do a Texans themed classroom. 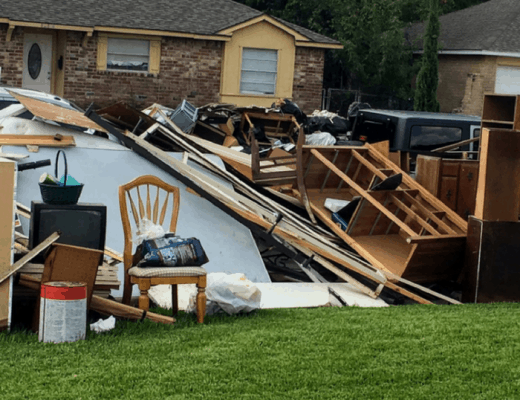 I live in Houston and we are a huge football city. My students are huge football fans. Most of my boys play football and many of my girls are cheerleaders. So I began getting my decor. The problem is I have to make a lot of it myself. 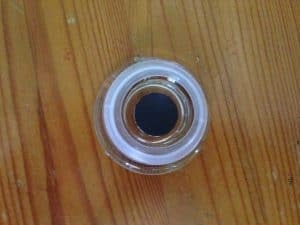 I am sharing with you some of the items I made. 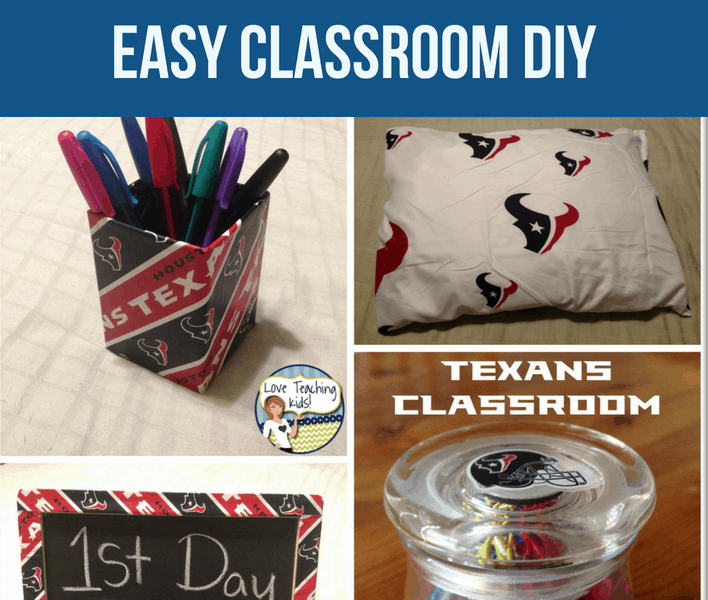 You can do these easy Classroom DIY with any classroom theme that you have. The first thing I made was a paperclip holder. I was able to buy many of the desk supplies with the Texans logo but not a paperclip holder. First, I bought the supplies and stuck the magnet to the cover of the jar. 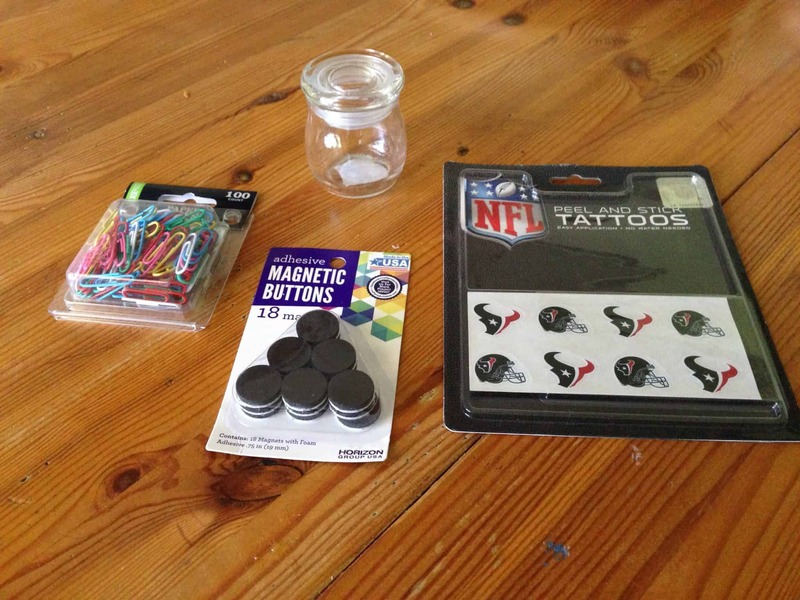 Then, I stuck the sticker tattoos on the jar and put the paperclips in the jar. Oh so easy and cute! This could be done with any theme. So I am not a seamstress by any means. In fact one of my best friends (who is a fashion designer) would cringe if she saw these pictures. I do not sew but I do have a heavy duty glue gun! 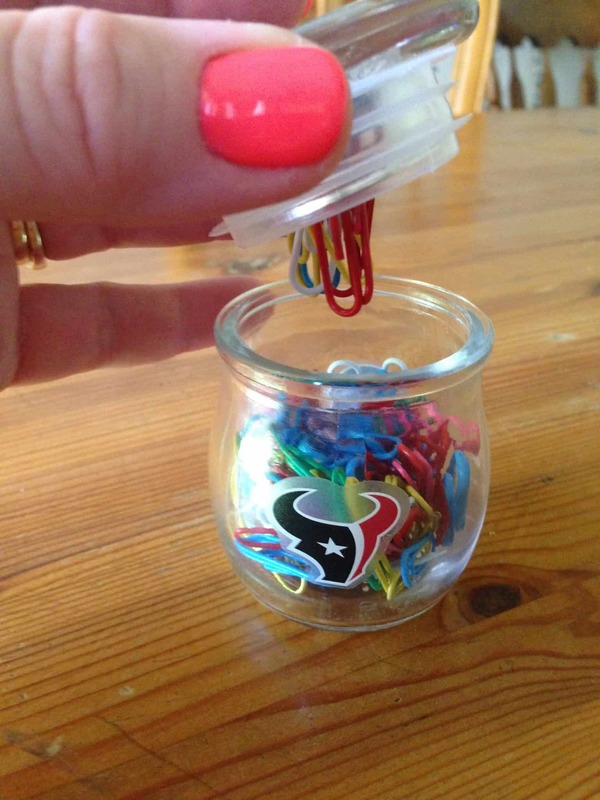 You would be surprised what you can make with some material and a glue gun. A couple of years ago I made some monster pillows for my classroom with felt and a glue gun. They lasted two years. 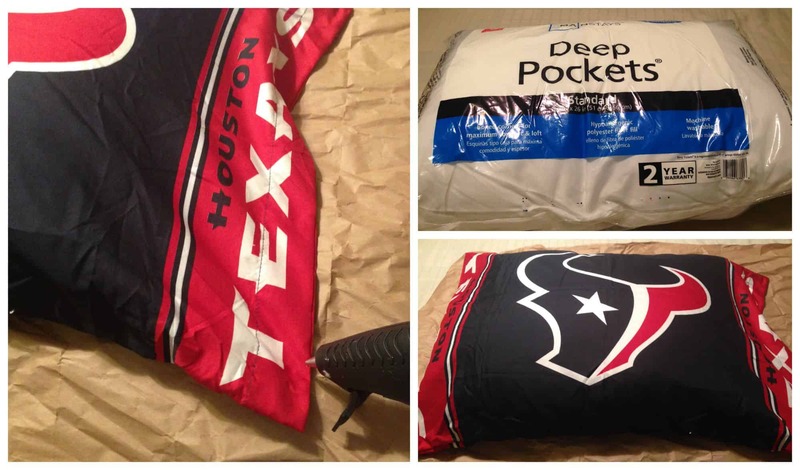 So I decided to make some Texans pillows for my classroom library. I bought a twin sheet set. 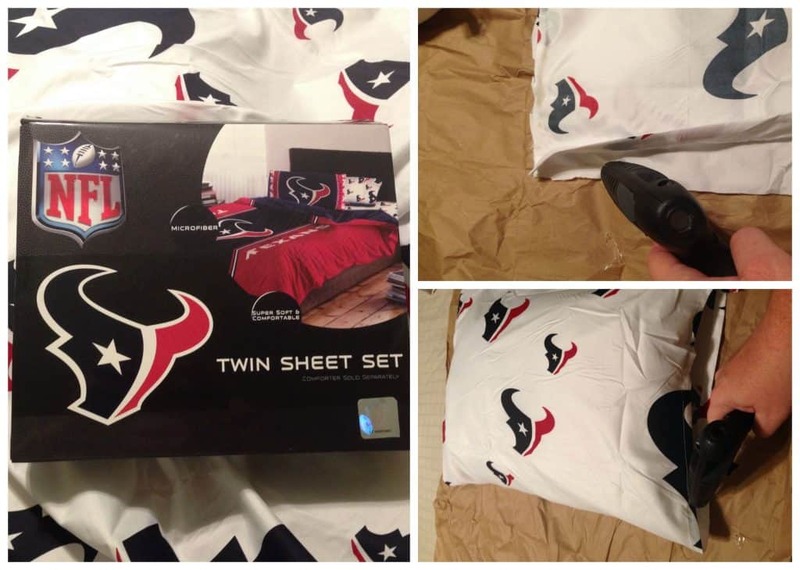 The set came with a pillow case so I just put a pillow in the case and glued it shut. That was super easy. Then I took the sheets and cut out some of the material, turned it inside out, and glued two sides together. 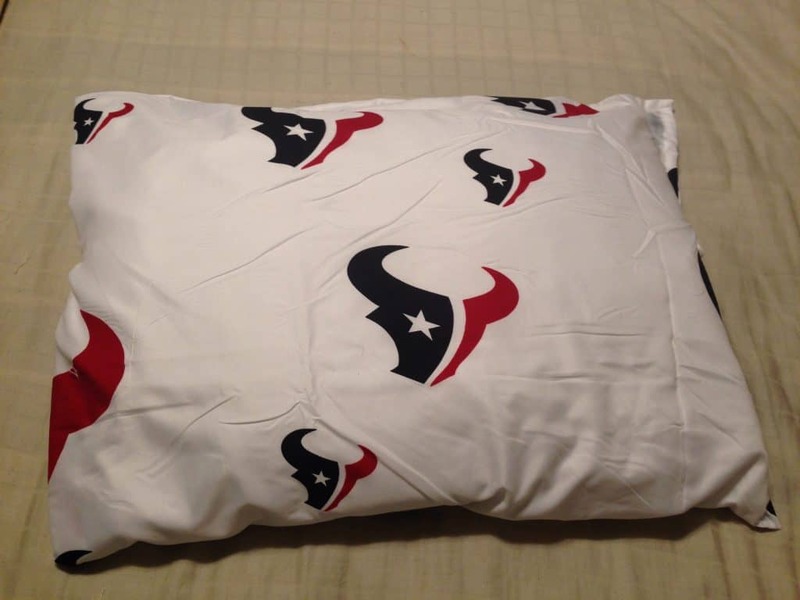 I then turned it back the right way, put the pillow in, and glued then end shut. This is the end product. Not too bad looking. 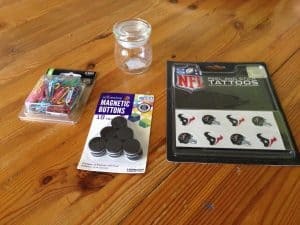 Finally, I made some Mod Podge Items. 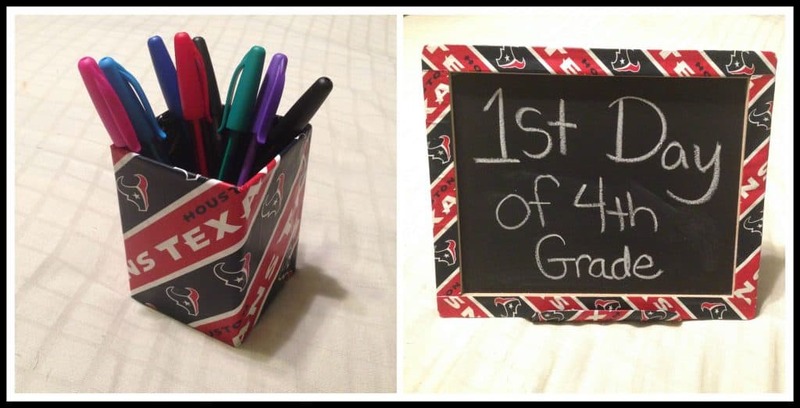 I bought some Texans gift wrap and Mod Podged it to pencil box and a chalkboard frame. I really am pleased with how they turned out. 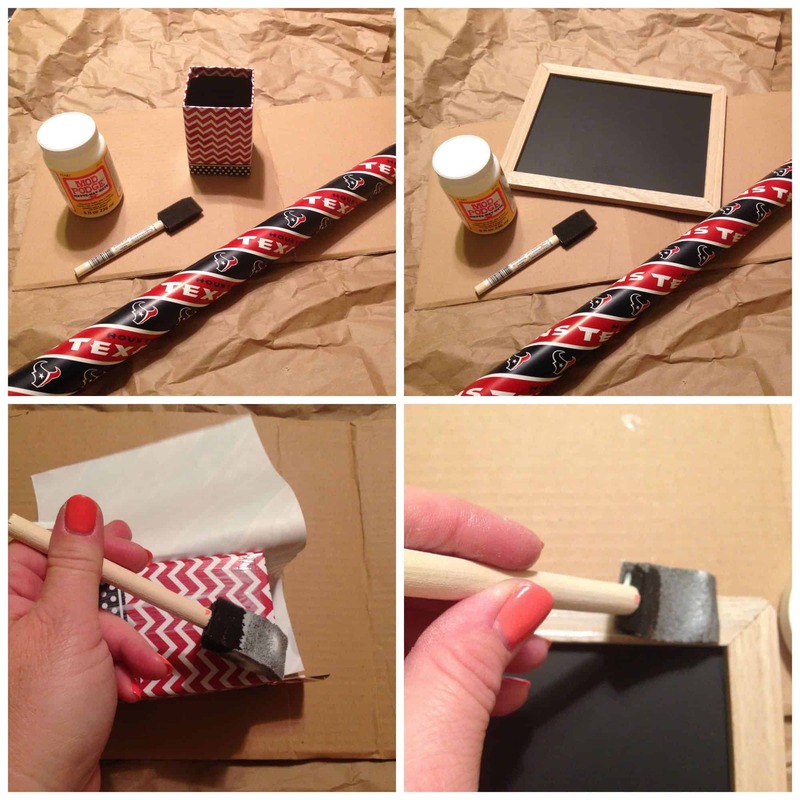 So I hope this gives you some ideas of how you can make some items of your favorite theme in your classroom. 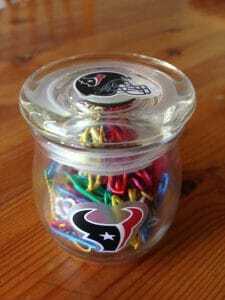 Love your products even though I’m a Cowboy fan. I appreciate FANATICS of any team!